There are any number of traditions that make the Christmas holidays special to families and individuals: traveling to visit family, opening gifts around the Christmas tree, joyful dinners, and many more. and "Silent Night" sung by candlelight at at Christmas Eve worship. We invite you and your family to join ours this year on Monday, December 24th, 2018 for one of our special Christmas Eve worship experiences. While each evening service will have a distinct character, each one will include an inspirational telling of the Christmas story and close with a traditional candle-lit singing of the carol, "Silent Night." Creative worship designed for the whole family! Photo by Daniel Morrison, used by Constant Commons permission. A celebration of Christ's birth with traditional carols and our string ensemble. Photo by Helena Jacoba, used by Constant Commons permission. 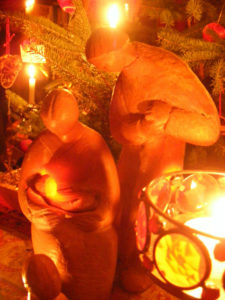 A quieter service of Scripture readings, carols, and holy communion. One of the names of the coming Messiah was identified by the prophet Isaiah as the "Prince of Peace." 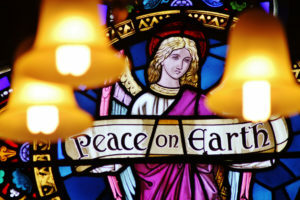 Upon the birth of Jesus of Nazareth, the angelic chorus sang out, "peace on earth..." The reign of God is described as the "peaceable kingdom," wherein the lion will lay down with the lamb. 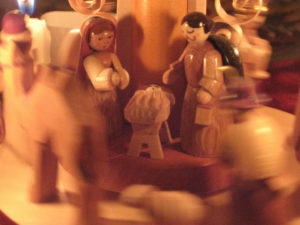 The promise of peace is intertwined with our celebration of the birth of Christ. Join us for this quieter, reflective service where we reflect on these Biblical promises of peace. 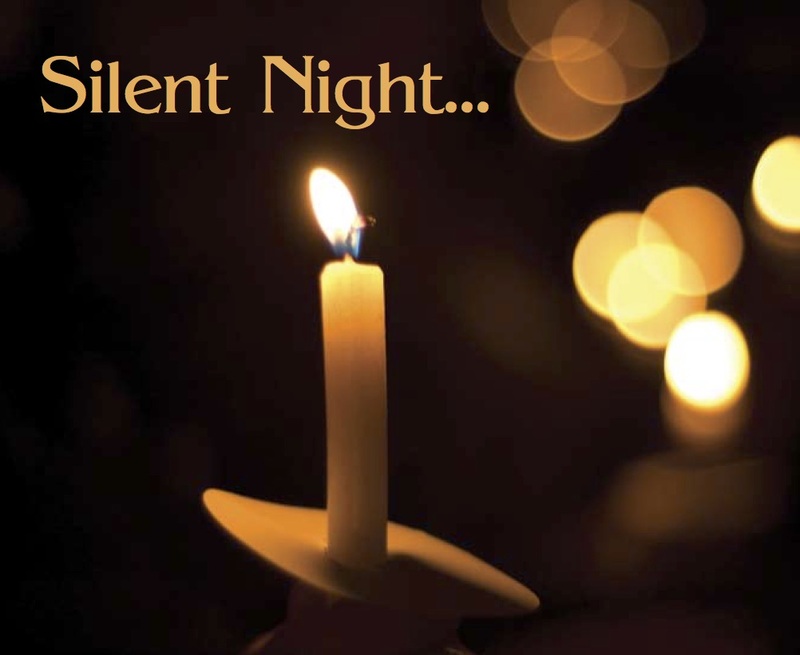 Worship will include holy communion, and conclude with the tradition of singing "Silent Night" by candle light. Photo by Charles Clegg, used by Constant Commons permission.